1. First, we have to generate the keystore and truststore. 2. Add keystore.jks as a secret. 1. 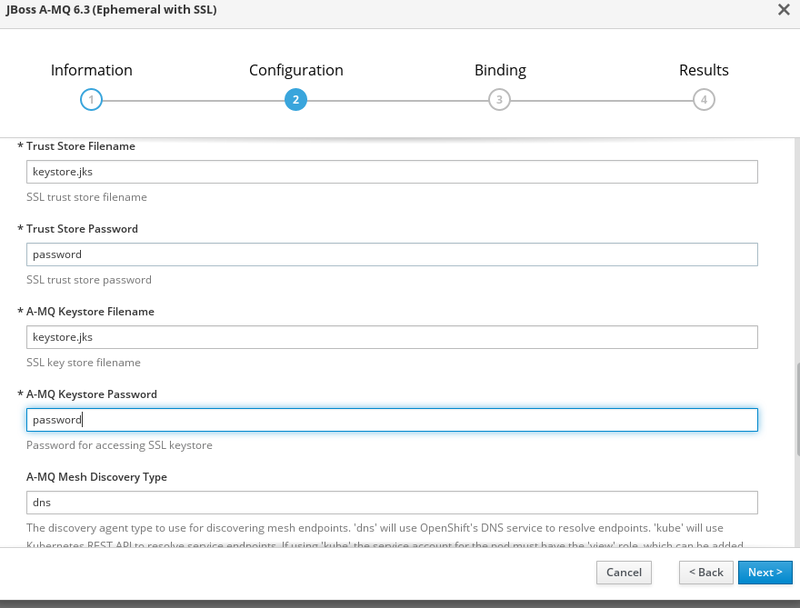 The OpenShift GUI can be used for the broker setup. 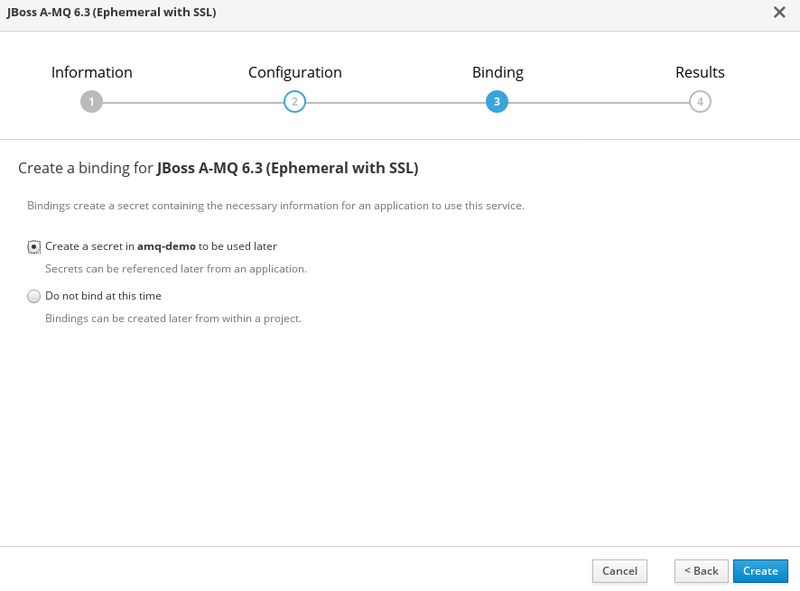 I used template JBoss A-MQ 6.3 (Ephemeral with SSL) from the catalog. The following four images show the information I had to fill in for the broker setup. 2. If everything goes well, we will have a pod that was created and is in the running state and services will also be visible and accessible. 2. Once you have route, you can use my GitHub code as a client to test broker. The first message would fail, because there is an exception thrown explicitly and that route will try to redeliver the message 6 times. This message will be in dead letter queue (DLQ), which will be automatically created. 3. The next step is to get more-verbose logs for better analysis of runtime issues. It is always recommended to use an s2i approach for configuration, so I created a log4j.properties file with following content. 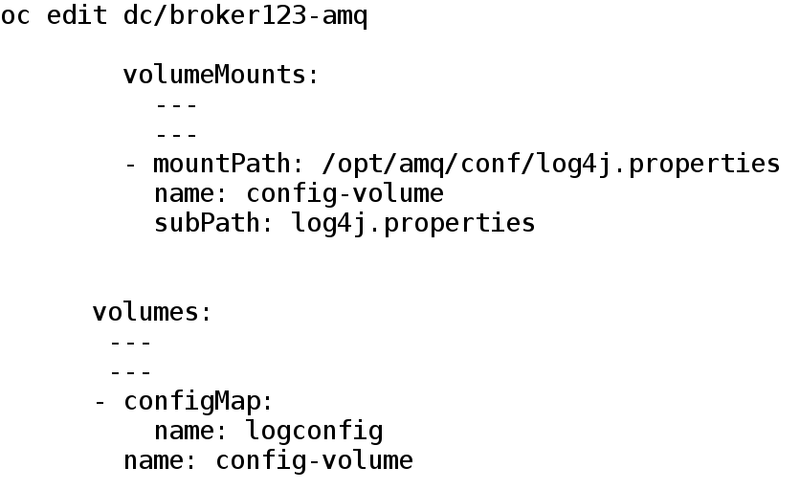 The content here is copied from the log4j.properties file from the /opt/amq/conf/ directory of the broker pod, and I changed only the first few lines of the configuration so that it won’t impact other default logging. For more information, check the default log4j.properties of the pod at /opt/amq/conf. 1. 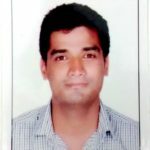 Create ConfigMap to load the log4j.properties file. 2. Modify the deployment configuration with a subpath so that we only mount log4j.properties at location /opt/amq/conf and leave the other configuration file intact. Edit the deployment configuration using the command shown below and append volumeMounts and volume entries in the deployment configuration. 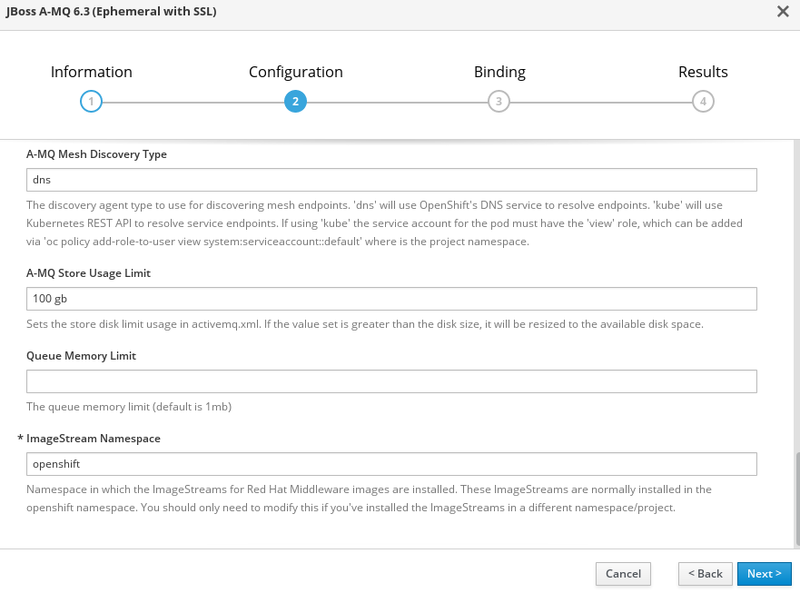 We can edit the deployment config from the OpenShift GUI console too. That’s it; happy integration! 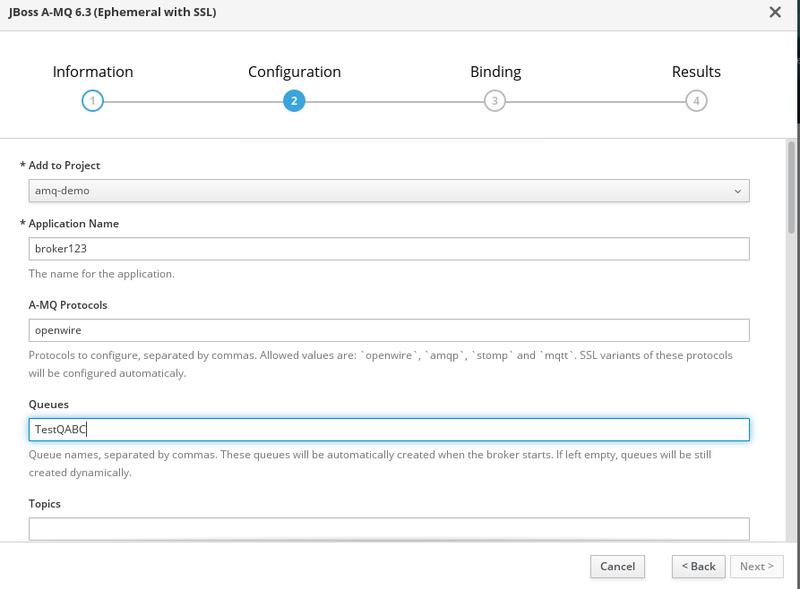 I hope this article helps you to have a basic understanding of a standalone AMQ 6.x setup on OpenShift, how to set up SSL clients to connect the broker, and how to configure a debug-level log configuration to have more verbose logging so you can analyze runtime issues. 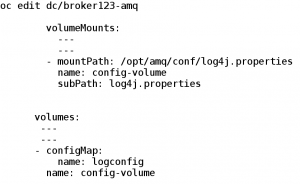 This configuration can also be used to modify other broker configuration files.